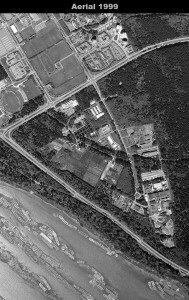 The cultivated site, now part of the UBC Farm, is just south of 16th Avenue, and is on the UEL lands like the alder and second growth site. This site was also logged in the late 1800s and then aside from selective logging, was minimally disturbed for a number of years. There were many fires that impacted the area, some minor and localized as logging operations continued and two major fires in 1886 and 1919, which affected the cultivated site. 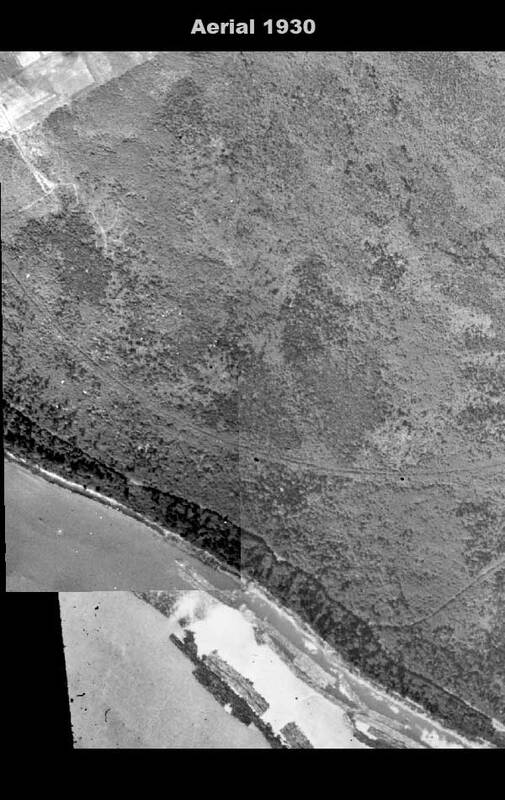 The cultivated site data from 1970 is from a different location than the later data, yet, the 2005 and 2008 sites were chosen because of extremely similarities with the 1970 site: management, slope, and parent material are very similar. In the 1970s as the main campus was developed further, the UBC Farm, then at Main Mall, was moved to the South Campus. 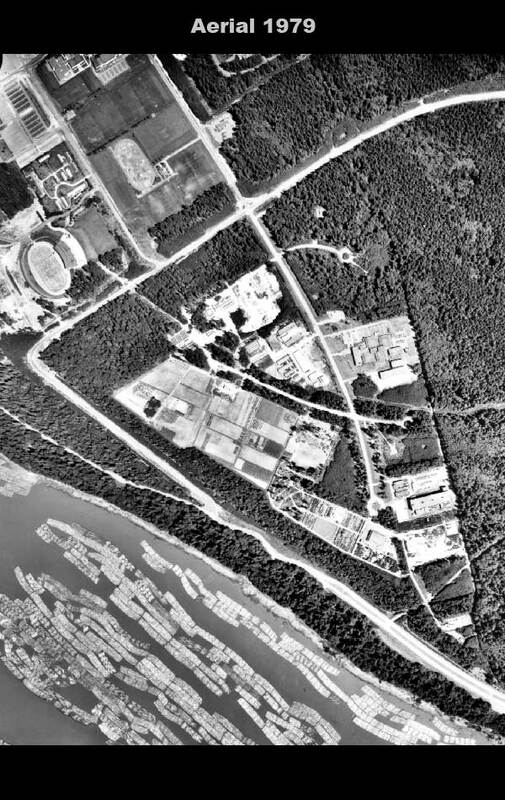 The establishment of the UBC farm on the South Campus warranted that the land be logged, cleared, and picked of stones, which occurred in the 1980-90s. 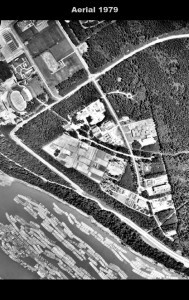 Aerial shots below give a good indication of the land use changes over time. Since that move, the site was used for crop production. In order to support cultivation of crops, several management practices were undertaken for the cultivated site. The fields were and continue to be culled for stones in order to allow for longevity of cultivation machinery. 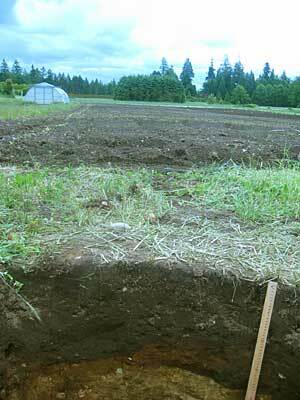 Regular fertilization, tillage, and irrigation are applied on the site. In recent years, the farm management started applying compost derived on site and planted a variety of cover crops to enhance soil organic matter content. © 2019 Land Use Impacts on Soil Quality. Theme by XtremelySocial.